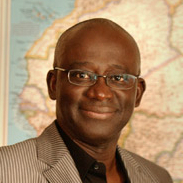 Mamadou Diouf is the Leitner Family Professor of African Studies and the Middle Eastern, South Asian, and African Studies (MESAAS) Department Chair. He joined Columbia University in 2007. He holds a Ph.D. from the University of Paris-Sorbonne. Before joining the faculty at Columbia University, he was the Charles D. Moody Jr. Collegiate Professor of History and African American Studies at the University of Michigan, from 2000 to 2007. Before that, he was Head of the Research, Information, and Documentation Department of the Council for the Development of Social Science Research in Africa (CODESRIA) and faculty member of the History Department of Cheikh Anta Diop University in Dakar, Senegal. 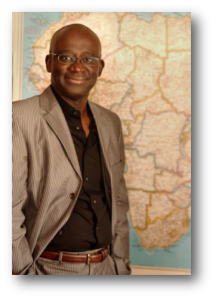 His research interests include urban, political, social and intellectual history in colonial and postcolonial Africa. His publications include: Tolerance, Democracy, and Sufis in Senegal (ed. 2013), New Perspectives on Islam in Senegal: Conversion, Migration, Wealth, and Power (with Mara A. Leichtman, 2009), La Construction de l’Etat au Sénégal (with M. C. Diop & D. Cruise O’Brien, 2002), Histoire du Sénégal: Le Modèle Islamo-Wolof et ses Périphéries (2001), Histoires et Identités dans la Caraïbe. Trajectoires Plurielles (with Ulbe Bosma, 2004); Les Jeunes, Hantise de l’espace public dans les sociétés du sud? (with R. Collignon, 2001); Les figures du politique: Des pouvoirs hérités aux pouvoirs élus (with M. C. Diop, 1999); Academic Freedom and Social Responsibility of the Intellectuals in Africa (with Mahmood Mamdani, 1994); Le Sénégal sous Abdou Diouf with M.C. Diop, 1990); La Kajoor au XIXe siècle: Pouvoir Ceddo et Conquête Coloniale (1990). 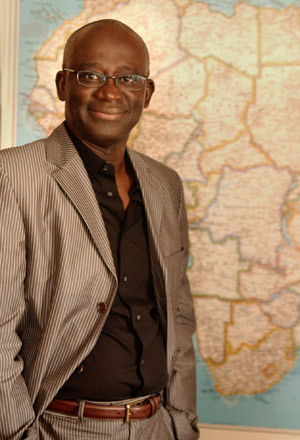 Professor Diouf is a member of the editorial board of several professional journals including: the Journal of African History (Cambridge), Psychopathologie Africaine (Dakar), la vie des idées.fr (Paris), and Public Culture. He is co-editor (with Peter Geschiere) of the book series Histoires du Sud/Histories of the South published by Karthala, Paris and New National Histories in Africa published by Palgrave MacMillan. Why is globalization bad for Africa?